The Gist: standing desks with Maria Konnikova, and the Trump presidency. 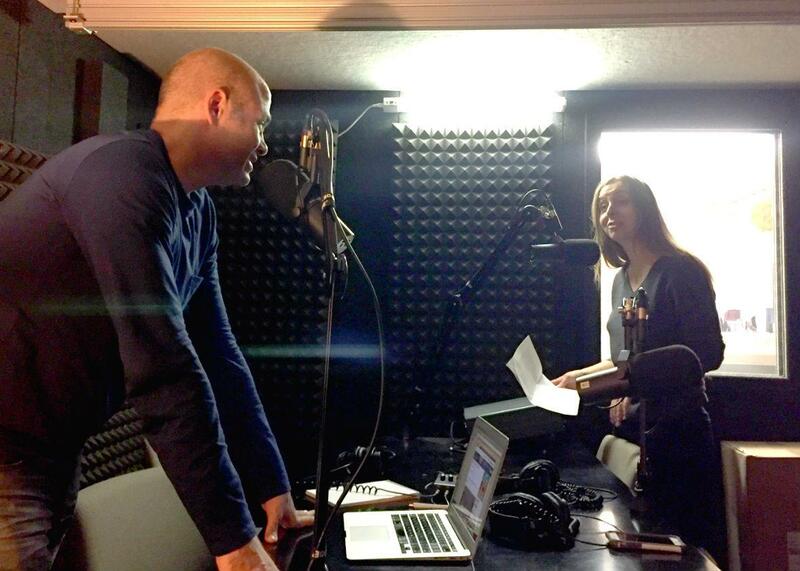 Mike Pesca and Maria Konnikova taping a special standing edition of “Is That BS.” Will it sound better than our usual sitting versions? On The Gist, Mike asks Maria Konnikova of the New Yorker to stand up to tell us about dangers of sitting. She’s the author of The Confidence Game, now available for preorder. For the Spiel, Mike examines the spooky, spooky specter of a Trump presidency.